Universal Newsline - Business, Lifestyle, Entertainment : Oye FM Suno Filmstar Bano is a hit! Oye FM Suno Filmstar Bano is a hit! Oye! 104.8 FM, senior Bollywood Director Rahul Rawail and production house Gr8 have come together to give listeners a chance to live their dream of becoming a film star. The auditions for ‘Oye! FM Suno Filmstar bano’ are being held across major cities to search for the best acting talent, with the winner getting a chance to act in Director Rahul Rawail’s next Film – Love Story… Again. The city auditions across Delhi/ NCR, Patiala and Amritsar saw a massive turnout of aspiring actors in thousands competing for a role in the film. The film’s Director Rahul Rawail and Producer Shashi Ranjan had a hectic time in judging and selecting the final contestants for the film. The city finalists from these cities have already been shortlisted and will travel to Mumbai for the finale where they will compete with the best from other cities for a role in the film. Rahul Rawail is the acclaimed filmmaker who launched mega stars like Sunny Deol (Betaab), Kajol (Bekhudi), Aishwarya Rai (Aur Pyar Ho Gaya) and Amrita Singh (Betaab) in his Films. With this activity in partnership with Oye! FM he hopes to find the next big talent for his forthcoming film ‘Love Story… Again’. Vivek Malhotra, Vice President- Marketing and Strategic Planning & Research, TV Today Network Ltd. said, “This is perhaps the first time that a ground breaking reality show of this sort is being done on a radio station. This activity is a reflection of Oye! 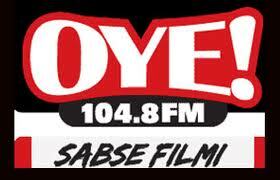 104.8 FM’s ‘Sabse Filmi’ positioning and has proved to be a medium to reinforce engagement with our listeners beyond music and content. The massive response to the auditions is testimony to the station’s popularity”. Director Rahul Rawail added, “This is the biggest ever such exercise taken up by a production house in association with a leading radio station. Aspirants can also log on to our Facebook page and send in their entries at https://www.facebook.com/lovestoryagain. We have already roped in stellar actors like Anushka Ranjan, Rishi Kapoor, Ram Kapoor and Dolly Ahluwalia to name a few while ace director of photography Binod Pradhan is the cameraman and Rakesh Ranjan will be the sound recordist. " Rahul Rawail’s blockbuster movie in 1981 ‘Love Story’, catapulted its debutant actors Kumar Gaurav and Vijeta Pandit to overnight fame and redefined romance on the silver screen. With ‘Love Story... Again’ he is rekindling the contemporary romance in a modern setting and this partnership with Oye! FM is adding to the excitement around the movie.